GERD (Gastroesophageal Reflux Disease) | Andrew Weil, M.D. Occasional heartburn can be a problem for anyone after a large, rich meal; but when it bothers you regularly (at least twice a week), it is considered to be symptomatic of gastroesophageal reflux disease or GERD. This condition is a clear sign that you are offending your stomach by eating too much or too often, by choosing the wrong kinds of foods, and by allowing anxiety and stress to interfere with digestion. GERD is more than just annoying and uncomfortable. 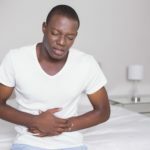 The effect of stomach acid on the tissue in the esophagus can lead to a precancerous condition called Barrett’s esophagus, and acid reflux is often related to respiratory problems like asthma. Although the most common treatment for GERD in conventional medicine is medication, there are some basic lifestyle strategies that are very effective. Wear loose clothing. Even tight belts or waistbands can increase stomach pressure enough to force acid up the esophagus. Don’t eat right before bedtime. Give your meal plenty of time to leave your stomach before you lie down. Let gravity help. Raise the head of your bed to allow gravity to work. Avoid raising your head by sleeping on two pillows – it could make the situation worse. Shoulders need to be raised as well or the esophagus can get crimped almost like a garden hose, increasing pressure in the stomach. Stop smoking. Tobacco is irritating to the stomach. Practice a relaxation strategy. Stress and anxiety can make GERD symptoms worse. Keep a food log to track the foods and beverages that make your symptoms worse. Certain foods and beverages weaken the esophageal sphincter including peppermint, citrus, caffeine and alcohol. Other foods have also been implicated – tomatoes, garlic, dairy products and high-fat meals. Wheat and other grains containing gluten (oats, barley and rye) are problems for some people. Learn what affects you. Stop drinking alcohol. Keep alcohol to a minimum if you do drink, and drink only with meals. Reduce stress levels with relaxation techniques such as biofeedback, breathing. Eat small meals. Large meals increase the upward pressure in the stomach and can cause problems even in people without GERD. Consider marshmallow root, which soothes inflamed intestines. Check your meds. Many prescription medications can trigger or worsen GERD, especially NSAIDS (aspirin, Motrin, Advil, etc. ), birth control pills and some heart medications. Ask your doctor about alternatives. Avoid antacids, which only mask the symptoms. If you must use antacids, avoid those containing aluminum. Consider eliminating or limiting dairy foods in your diet. Consider taking probiotics with meals. These products contain “friendly” bacteria that can stabilize the digestive tract.